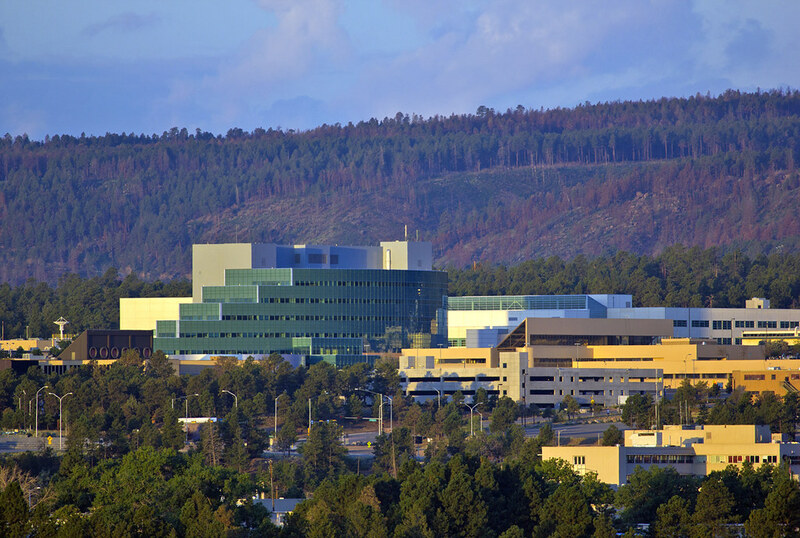 Los Alamos National Laboratory sits on top of a once-remote mesa in northern New Mexico with the Jemez mountains as a backdrop to research and innovation covering multi-disciplines from bioscience, sustainable energy sources, to plasma physics and new materials. No image credit. A new study at Los Alamos National Laboratory and in collaboration with Stanford Synchrotron Radiation Lightsource greatly improves scientists’ understanding of the element actinium. The insights could support innovation in creating new classes of anticancer drugs. Medical isotopes have long been a product of the Los Alamos specialty facilities, which create strontium-82, germanium-68 and other short-lived isotopes for medical scans. 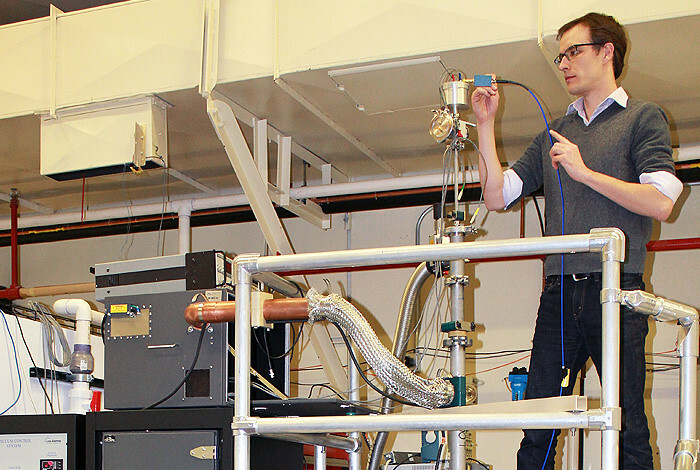 Taking advantage of the unique multidisciplinary capabilities of the Laboratory, researchers use the linear particle accelerator at the Los Alamos Neutron Science Center (LANSCE) to provide rare and important isotopes to the medical community across the United States. The expansion into actinium exploration moves the research forward toward treatment isotopes, as opposed to only diagnostic materials, says Ferrier. For the actinium work, a spectroscopic analysis called X-ray Absorption Fine Structure (XAFS) was used, a sensitive technique that can determine chemical information such as the number of atoms surrounding actinium, their type (i.e., oxygen or chlorine) and their distances from each other. To help understand actinium’s behavior in solution and interpret the data obtained with XAFS, these experimental results were compared with sophisticated computer model calculations using molecular-dynamics density functional theory (MD-DFT). The study showed that actinium, in solutions of concentrated hydrochloric acid, is surrounded by three atoms of chlorine and six atoms of water. Americium, another +3 actinide often used as a surrogate for actinium, is surrounded only by one chlorine atom and eight water molecules. It has been assumed in the past that actinium would behave similarly to americium. Perhaps the most potent impact of these studies will be on the application of the isotope actinium-225, which is used in a novel, attractive cancer treatment technique called targeted alpha therapy (TAT). TAT exploits alpha emissions from radioisotopes to destroy malignant cells while minimizing the damage to healthy surrounding tissue. “Our determination that actinium’s behavior in solution is different than other nearby elements (such as americium) is directly relevant to TAT in a biological environment, which is always a complex solution,” said Ferrier. Actinium-225 has a relatively short half-life (10 days) and emits four powerful alpha particles as it decays to stable bismuth, which makes it a perfect candidate for TAT. However, TAT with actinium can only become a reliable cancer-treatment if actinium is securely bound to the targeting molecule, as the radioisotope is very toxic to healthy tissue if it is not brought quickly to the site of disease. Nature Communication Paper: Spectroscopic and Computational Investigation of Actinium Coordination Chemistry, by authors M. G. Ferrier, E. R. Batista, J. M. Berg, E. R. Birnbaum, J. N. Cross, J. W. Engle, H. S. La Pierre, S. A. Kozimor, J. S. Lezama-Pacheco, B. W. Stein, S. C. E. Stieber and J. J. Wilson. Funding: Support for portions of this research was provided by the Los Alamos LDRD program and the U.S. Department of Energy (DOE) Office of Science. Related work was supported by a postdoctoral fellowship from the Glenn T. Seaborg Institute and the Los Alamos National Laboratory’s Director’s postdoctoral fellowship. The Stanford Synchrotron Radiation Lightsource is a DOE Office of Science User Facility at the Department’s SLAC National Accelerator Laboratory. Approximate location of geosynchronous orbit spacecraft — projected to the Earth’s equator. Researchers used 82 satellite-years of observations from the Magnetospheric Plasma Analyzer instruments aboard Los Alamos National Laboratory satellites at geosynchronous orbit to create a comprehensive model of how plasma behaves in this region of Earth’s magnetosphere — the most heavily populated orbit for spacecraft traffic. The journal Space Weather published the work, and the American Geophysical Union newsmagazine Eos highlighted it as a Research Spotlight. Knowledge and prediction of the environment at geosynchronous orbit is crucial for spacecraft designers and operators because changes in the plasma environment, caused by the Sun and its solar wind, can interfere with satellite functioning and even lead to satellite failure. Geosynchronous orbit — roughly 36,000 kilometers above Earth’s surface — is one of the most popular locations for military, scientific, and communications satellites. 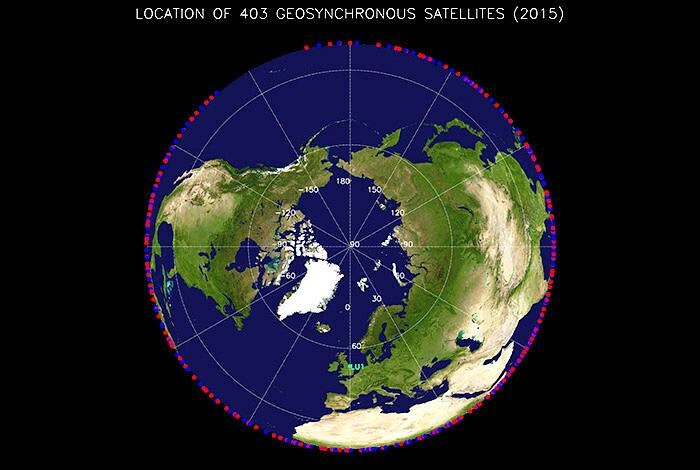 The 24-hour orbital period at geosynchronous orbit ensures that satellites maintain a fixed location in Earth’s sky. This area marks the approximate boundary between Earth’s inner and outer magnetosphere, where electromagnetic forces from the two regions control electrically charged particles (electrons and ions) known as plasma. Current models of this environment focus on predicting how fluxes of energetic ions and electrons, which can cause a buildup of charge on spacecraft materials, will affect satellite systems. The new research provides a more comprehensive picture by examining how factors such as solar wind and geomagnetic activity can influence these fluxes in plasma. The researchers created a model that can predict the plasma flux environment at geosynchronous orbit in response to rapid changes in geomagnetic and solar activity. The model predicts the fluxes that can cause a buildup of charge on spacecraft materials over a range of energies and time. The new model provides scientific and operational users with prediction of fluxes over a wider range of conditions than is generally the case with current models. As the model matures, the researchers plan to extend the analysis to predict hazardous fluxes as a function of solar wind speed and magnetic field orientation. These are critical factors that control plasma fluxes at geosynchronous orbit. The model will be useful for satellite operators because more than 400 satellites currently reside in geosynchronous orbit. The team analyzed the largest existing dataset of electron and ion fluxes. The Magnetospheric Plasma Analyzer instruments on board Los Alamos National Laboratory satellites collected the data over 17 years and one and a half solar cycles. The researchers combined the data sets from seven satellites (a total of 82 satellite-years of data) with observations on solar and geomagnetic activity. They developed a comprehensive model of the flux of electrons and ions at geosynchronous orbit as a function of local time, energy, geomagnetic activity, and solar activity for energies between approximately 1 eV and approximately 40 keV. This energy range encompasses the plasmasphere, the electron plasma sheet, the ion plasma sheet and the substorm-injected suprathermal tails of both the electron and ion plasma sheets. Satellites on station at geosynchronous orbit encounter each of these populations regularly. The team validated the model by comparing its predictions with spacecraft data that another set of satellites collected during a five-day period of both calm and active space weather. As the model matures, the researchers plan to extend the analysis to predict hazardous fluxes as a function of solar wind speed and magnetic field orientation. These are critical factors that control plasma fluxes at geosynchronous orbit. The team has made a beta version of the model freely available. The researchers include M. H. Denton of LANL’s Space Science Institute, M. F. Thomsen, V. K. Jordanova, M. G. Henderson and J. E. Borovsky of LANL’s Space Science and Applications group; J. S. Denton of Sellafield Ltd. (now of Nuclear and Radiochemistry, C-NR); D. Pitchford of SES Engineering; and D. P. Hartley of Lancaster University. The Los Alamos Laboratory Directed Research and Development (LDRD) program funded the research through the SHIELDS project, which aims to understand, model, and predict Space Hazards Induced near Earth by Large, Dynamic Storms (SHIELDS). This work supports the Lab’s Global Security mission area for space situational awareness and the Science of Signatures science pillar. 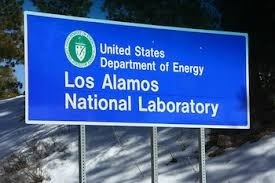 Three of the projects involve Los Alamos National Laboratory science staff and partners. The Energy Department’s Advanced Research Projects Agency-Energy (ARPA-E) on May 14, 2015 announced $30 million in funding for 9 groundbreaking new projects aimed at developing prototype technologies to explore new pathways for fusion power. Three of the projects involve Los Alamos National Laboratory science staff and partners. The projects are funded through ARPA-E’s Accelerating Low-cost Plasma Heating and Assembly (ALPHA) program, which seeks to develop low-cost fusion energy technology solutions. Details on ALPHA’s nine projects may be found here. Los Alamos National Laboratory (LANL), teamed with Hyper V Technologies and a multi-institutional team, will develop a plasma-liner driver formed by merging supersonic plasma jets produced by an array of coaxial plasma guns. 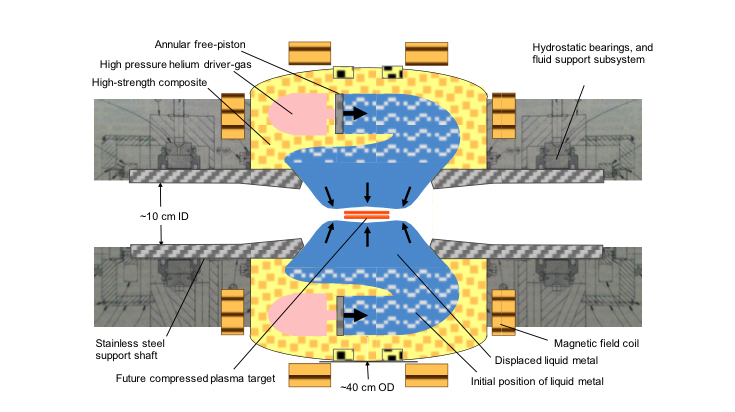 The key virtues of a plasma-liner driver, as noted by project leader Scott Hsu, are that it (1) has standoff, i.e., it completely avoids hardware destruction because the plasma guns are placed sufficiently far away (many meters in an eventual fusion reactor) from the region of fusion burn, and (2) it enables high implosion velocity (50–100 km/s) to overcome thermal transport rates inherent in desired targets. This non-destructive approach may enable rapid, low cost research and development and, by avoiding replacement of solid components on every shot, may help lead to an economically attractive power reactor. This project will seek to demonstrate, for the first time, the formation of a small scale spherically imploding plasma liner in order to obtain critical data on plasma liner uniformity and ram pressure scaling. If successful, this concept will provide a versatile, high-implosion-velocity driver for intermediate fuel density magneto-inertial fusion that is potentially compatible with several plasma targets. These experiments will be conducted on the existing Plasma Liner Experiment (PLX) facility at Technical Area 35 at Los Alamos. NumerEx, LLC, teamed with the National High Magnetic Field Laboratory in Los Alamos, NM, will develop the Stabilized Liner Compressor (SLC) concept in which a rotating, liquid metal liner is imploded by high-pressure gas. The Stabilized Liner Compressor (SLC) is a system that uses high-pressure gas and a free-piston to implode a liquid metal liner onto trapped magnetic flux in order to achieve controlled fusion at very high magnetic fields (~100 T). 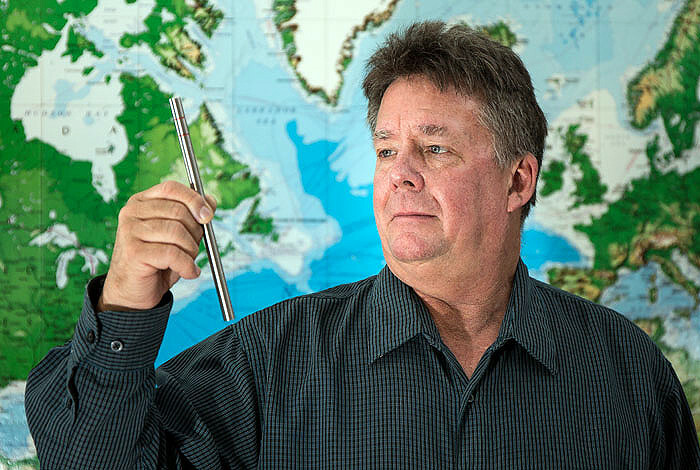 “The SLC project provides an opportunity to leverage advances in materials in a new era of computation capabilities while developing a revolutionary high magnetic field capability with a distinct purpose,” said Los Alamos project leader Chuck Mielke. Free-piston drive and liner rotation avoid instabilities as the liner compresses and heats a plasma target. If successful, this concept could scale to an attractive fusion reactor with efficient energy recovery, and therefore a low required minimum fusion gain for net energy output. 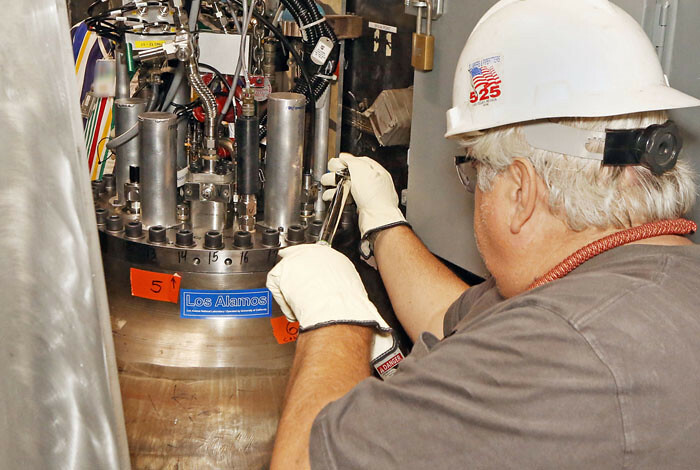 The SLC will address several challenges faced by practical fusion reactors. By surrounding the plasma target with a thick liquid liner, the SLC helps avoid materials degradation associated with a solid plasma-facing first wall. In addition, with an appropriately chosen liner material, the SLC can simultaneously provide a breeding blanket to create more tritium fuel, allow efficient heat transport out of the reactor, and shield solid components of the reactor from high-energy neutrons. “We recognized back at the Naval Research Laboratory in the 1970s that there may exist an optimum regime for controlled fusion at much higher magnetic fields than used by the mainline magnetic fusion program, but at much lower power density than required for laser fusion. The resulting power reactor and the necessary experimental prototypes need the repetitive, stabilized operation at megagauss field-levels offered by SLC,” said Peter J. Turchi, Los Alamos Guest Scientist and Senior Consultant to NumerEx LLC. Caltech, in coordination with Los Alamos National Laboratory, will investigate collisions of plasma jets and targets over a wide range of parameters to characterize the scaling of adiabatic heating and compression of liner-driven magnetized target fusion plasmas. “Los Alamos will provide plasma physics modeling of the experiments to be carried out at Caltech to understand the critical processes during the plasma-cloud interactions,” said Hui Li, the lead Los Alamos scientist on the project. 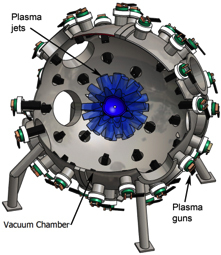 The team will propel fast, magnetized plasma jets into stationary heavy gases or metal walls. The resulting collision is equivalent to a fast heavy gas or metal liner impacting a stationary magnetized target in a shifted reference frame and allows the non-destructive and rapid investigation of physical phenomena and scaling laws governing the degree of adiabaticity of liner implosions. This study will provide critical information on the interactions and limitations for a variety of possible driver and plasma target combinations being developed across the ALPHA program portfolio. Considering a surgeon recently told me MRSA is our generation’s staph, in that it’s everywhere and on everything, that could be everybody. Treating these infections, known in the scientific world as biofilms, is expensive, time consuming, sickening and often unsuccessful when it comes to killing them before they kill their host. That’s because while they are responsible for up to 80 percent of all bacterial infections, they have their own protection that makes them 50 to 1,000 times more resistant to antibiotics. And that’s why a discovery at Los Alamos National Laboratory – a treatment with what amounts to fancy water – is beyond exciting. It could be life-changing and life-saving. Full disclosure: My mother contracted a biofilm infection after having a back surgery and spent years unsuccessfully fighting it with stronger and stronger oral and intravenous antibiotics that ultimately caused a serious reaction of their own. The drugs simply could not penetrate the infection to kill it. Doctors finally decided to remove the hardware (and its virulent bacteria) rather than continue a fruitless and damaging battle. In David Fox’s world, my mother would have had an antibiotic delivered via ionized liquid that could penetrate her skin, the biofilm, and kill the bug. Fox is a staff scientist in LANL’s Bioscience Division. For several years he and a team of fellow chemists and microbiologists have been working with ionic liquids – known as molten salts. Originally their work was for forensic applications, like how to pull certain molecules out of fabrics. The team then figured out they could also use the ionic liquids to deliver molecules: like antibiotics to an until-then impenetrable bacteria. So these scientists – Fox, Tari Kern, Katherine Lovejoy, Rico Del Sesto (now at Dixie State University), Rashi Iyer, Amber Nagy, Andrew Goumas, Tarryn Miller and Andrew Koppisch (now at Northern Arizona University) – started working with the University of California-Santa Barbara on using their ionized water for transdermal drug delivery. Instead of infection treatments that range from irritating to painful – organic solvents, injections and debridement – the team focused on using 12 ionic liquids “generally recognized as safe” (GRAS in science-speak). They grew opportunistic gram negative bacteria, then added individual ionic liquids and incubated, then rinsed. And that was before adding antibiotics. The team then moved on to ensuring the liquids with dissolved antibiotics could penetrate pig skin and the bacteria’s protective layer – and got equally stunning results. “Ninety-five and 98 percent reduction in cell viability” with one of the ionic liquids and that liquid plus an antibiotic. By comparison, antibiotics alone had a 20 percent kill rate. So why should someone who’s never had a cavity or a diabetic ulcer or a MRSA infection care? Fox points out the “economic burden of skin disease is over $100 billion.” That MRSA-type infections acquired in hospitals account for an estimated “$10 billion in extra patient costs and over 10,000 deaths per year.” That “wounds from infected surgical incisions account for over 1 million additional hospital days.” And that 10 to 20 percent of diabetic ulcers – a function of the Pseudomonas aeruginosa infection – require amputation. In other words, we are all paying for it, in terms of money, health and life. The discovery is now moving into clinical studies with live subjects – mice – Fox says, and if those go as well, on to human clinical trials. Funding for the years of required additional research could come from energy companies that want to extract high-energy density molecules like biofuels from an organism (the research’s first application), from corporations that could use it to more efficiently deliver their drugs to patients, and/or from the military that wants to protect/treat its soldiers. And so does everyone who has had, or will get, one of these very nasty infections. Los Alamos National Laboratory scientist Brad Ramshaw conducts an experiment at the Pulsed Field Facility of the National High Magnetic Field Lab, exposing high-temperature superconductors to very high magnetic fields, changing the temperature at which the materials become perfectly conducting and revealing unique properties of these substances. “High magnetic-field measurements of doped copper-oxide superconductors are paving the way to a new theory of superconductivity,” said Brad Ramshaw, a Los Alamos scientist and lead researcher on the project. Using world-record high magnetic fields available at the National High Magnetic Field Laboratory (NHMFL) Pulsed Field Facility, based in Los Alamos, Ramshaw and his coworkers are pushing the boundaries of how matter can conduct electricity without the resistance that plagues normal materials carrying an electrical current. High-temperature superconductors have been a thriving field of research for almost 30 years, not just because they can conduct electricity with no losses—one hundred degrees higher than any other material—but also because they represent a very difficult and interesting “correlated-electron” physics problem in their own right. On the other hand, high-temperature superconductors, such as yttrium barium copper oxide (YBa2Cu3O6+x), cannot be explained with BCS theory, and so researchers need a new theory for these materials. One particularly interesting aspect of high-temperature superconductors, such as YBa2Cu3O6+x, is that one can change the superconducting transition temperature (Tc, where the material becomes perfectly conducting) by “doping” it, : changing the number of electrons that participate in superconductivity. 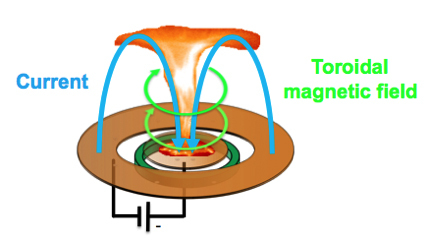 The Los Alamos team’s research in the 100-T magnet found that if one dopes YBa2Cu3O6+x to the point where Tc is highest (“optimal doping”), the electrons become very heavy and move around in a correlated way. “An outstanding problem in the field of high-transition-temperature (high-Tc) superconductivity has been the issue as to whether a quantum critical point—a special doping value where quantum fluctuations lead to strong electron-electron interactions—is driving the remarkably high Tc’s in these materials,” he said. Funding: Work carried out at the National High Magnetic Field Laboratory—Pulsed Field Facility at Los Alamos National Laboratory was provided through funding from the National Science Foundation Division of Materials Research through Grant No. DMR-1157490 and from the US Department of Energy’s Office of Science, Florida State University, the State of Florida, and Los Alamos National Laboratory through the LDRD program. Los Alamos National Laboratory has successfully fired the latest in a series of experiments at the Nevada National Security Site (NNSS). “Leda is an integrated experiment that provides important surrogate hydrodynamic materials data in support of the Laboratory’s stewardship of the U. S. nuclear deterrent,” said Bob Webster, Associate Director for Weapons Physics. Technicians at the Nevada National Security Site make final adjustments to the “Leda” experimental vessel in the “Zero Room” at the underground U1a facility. Technicians at the Nevada National Security Site move the experiment in a specially designed container from the Device Assembly Facility. The experiment, conducted on Aug. 12, 2014, consisted of a plutonium surrogate material and high explosives to implode a “weapon-relevant geometry,” according to Webster. Hydrodynamic experiments such as Leda involve non-nuclear surrogate materials that mimic many of the properties of nuclear materials. Hydrodynamics refers to the physics involved when solids, under extreme conditions, begin to mix and flow like liquids. Other hydrodynamic experiments conducted at NNSS use small amounts of nuclear material, and are called “sub-critical” because they do not contain enough material to cause a nuclear explosion. “This experiment ultimately enhances confidence in our ability to predictively model and assess weapon performance in the absence of full-scale underground nuclear testing,” said Webster. These experiments with surrogate materials provide a principle linkage with scaled/full-scale hydrodynamic tests, the suite of prior underground nuclear tests, and scaled plutonium experiments. “Experiments like Leda are key to enhancing predictive confidence, challenging next-generation weapon designers, and enhancing our capability to underwrite options for managing the stockpile,” said Charlie Nakhleh, Theoretical Design Division Leader. Such hydrodynamic and sub-critical experiments are one of the most useful multi-disciplinary technical activities that exercise the Laboratory’s manufacturing capabilities, tests scientific judgment, and enhances the competency of the Nevada workforce in areas of formality of underground and nuclear operations. Immediately following the experiment, conducted at NNSS’s U1a underground complex in collaboration with NSTec and supported by Sandia National Laboratories, Los Alamos scientists and technicians reported a 100 percent data return. Scientists will now study the data in detail and compare with pre-shot predictions. The resulting findings will help assess the confidence weapon designers have in their ability to predict weapon-relevant physics. The successful execution of the Leda experiment enables the follow-on sub-critical experiment series, nicknamed Lyra, to be conducted in 2015. Lyra and other related experiments are an essential component in the NNSA’s Science Campaigns and Plutonium Sustainment Programs to support the technical basis for confidence in the nation’s nuclear deterrent, and to support future stockpile stewardship. Video of the fully contained experiment can be viewed here. Los Alamos National Laboratory expertise helped the Department of Energy’s (DOE) National Nuclear Security Administration (NNSA) Defense Nuclear Nonproliferation (DNN) Radiological Material Removal Program’s Off-Site Source Recovery Project (OSRP) recover more than 1 million curies of radioactive sources since 1999. The accomplishment represents a major milestone in protecting our nation and the world from material that could be used in “dirty bombs” by terrorists. Off-Site Source Recovery Project personnel recovered several high-activity sealed radioactive sources from a Maryland facility in November, which pushed the total recovered radioactivity above 1 million Curies. Los Alamos National Laboratory supports OSRP with instrumentation, expertise and personnel. With the Maryland recovery, OSRP has recovered and secured more than 38,000 sealed radioactive sources from more than 1,100 different locations, including all 50 states within the U.S. The particular source that achieved the 1-million-curie milestone was a small stainless steel capsule, about the size of a pencil, containing 100 curies of the radioactive isotope cobalt-60. This source was part of a larger 9,000-curie shipment that was characterized and verified before loading into specially shielded containers for safe transport to a secure location. A Curie is a unit of radioactivity named after scientists Marie and Pierre Curie, who discovered, among other things, the element radium. One Curie is roughly equivalent to the amount of radioactivity in one gram of the radium-226 isotope. 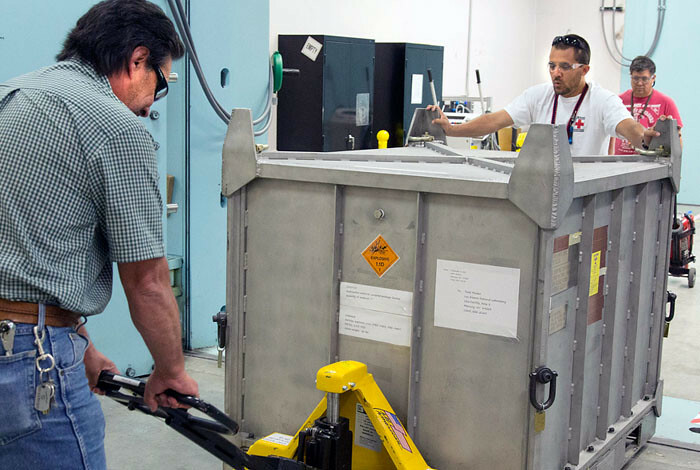 NNSA’s DNN Radiological Removal Program and OSRP mission includes removal and disposal of excess, unwanted, abandoned, or orphan radioactive sealed sources that pose a potential risk to national security, public health, and safety. These sources include radiological materials from universities, and medical and research facilities worldwide that could potentially be utilized in a dirty bomb—an ad-hoc weapon created by rogue states or individuals to instill fear and disrupt activity in large population areas. DOE initiated OSRP in 1999. Originally it was an environmental management project to recover and dispose of excess and unwanted sealed radioactive sources. 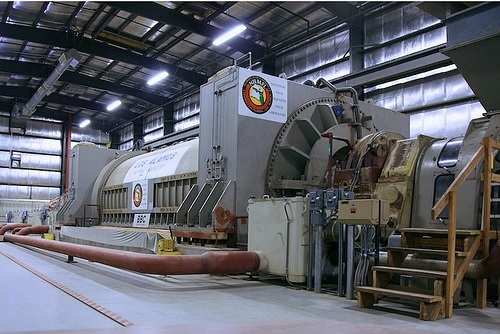 In 2003, the project was transferred to NNSA DNN in a shift towards more aggressive recovery of unwanted radioactive sealed sources for national security purposes. Sealed source recovery and disposal efforts result in permanent threat reduction, as this material is eliminated and no longer has potential to be used by terrorists. 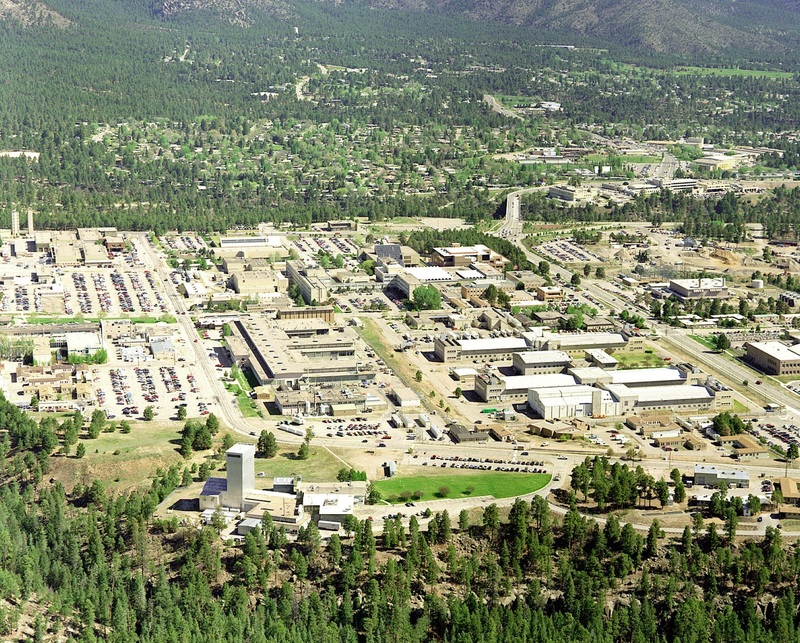 For more information about Los Alamos’s efforts related to ORSP, see http://osrp.lanl.gov. US institutions are working with the SHINE experiment at CERN to better understand the particle interactions that produce neutrinos. The Super Proton Synchrotron is the second largest machine in CERN’s accelerator complex. “…Neutrinos are neutral in charge, so scientists cannot manipulate them with magnets in a particle accelerator. To create a neutrino beam, researchers accelerate positively charged protons and smash them into a fixed target made of beryllium or carbon. The resulting particle interactions produce pions and kaons, which also have charge. Physicists steer these particles into beams, at which point they decay into chargeless neutrinos. Scientists from Fermilab, Los Alamos National Lab, University of Colorado, University of Pittsburgh and the College of William and Mary set out to sharpen their understanding of the initial interaction between the protons and the target. This will allow the collection of precise measurements for experiments such as Fermilab’s MINOS, MINERvA and the proposed Long-Baseline Neutrino Experiment, along with the T2K experiment in Japan. 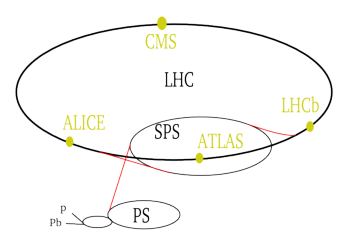 The scientists discovered that they did not have to build a new experiment to make this type of measurement; it is already within the capabilities of another experiment at CERN. 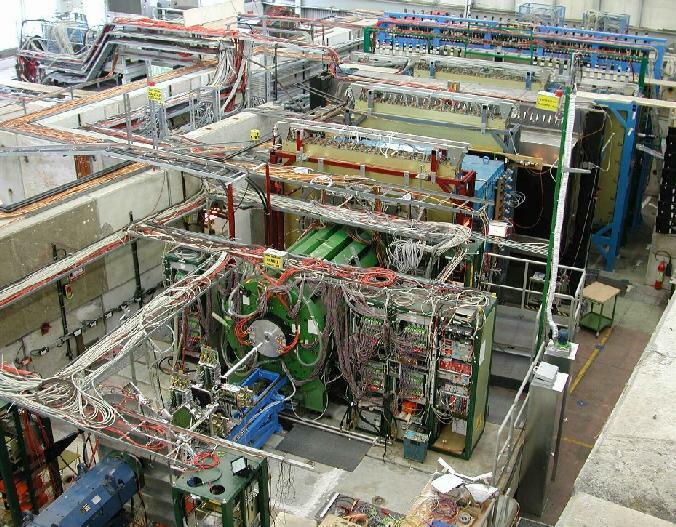 The SHINE experiment’s detector was designed to study strongly interacting matter, quark-gluon plasma and the production of composite particles. But it can also track and measure particles produced during the first step of the neutrino-beam-creation process: when protons collide with a fixed target. Researchers from the United States visited CERN this summer to try it out. We should all hope that this collaboration is successful. See the full Symmetry article here. Los Alamos National Laboratory scientists and an international research team have announced discovery of molecular oxygen ions (O2+) in the upper-most atmosphere of Dione, one of the 62 known moons orbiting the ringed planet. 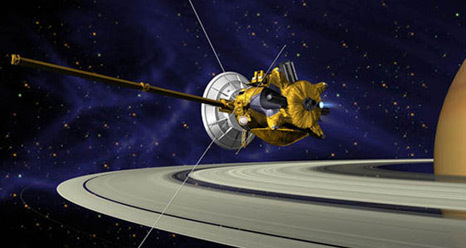 The research appeared recently in Geophysical Research Letters and was made possible via instruments aboard NASA’s Cassini spacecraft, which was launched in 1997. A sensor aboard the Cassini spacecraft called the Cassini Plasma Spectrometer (CAPS) detected the oxygen ions in Dione’s wake during a flyby of the moon in 2010. Los Alamos researchers Robert Tokar and Michelle Thomsen noted the presence of the oxygen ions.